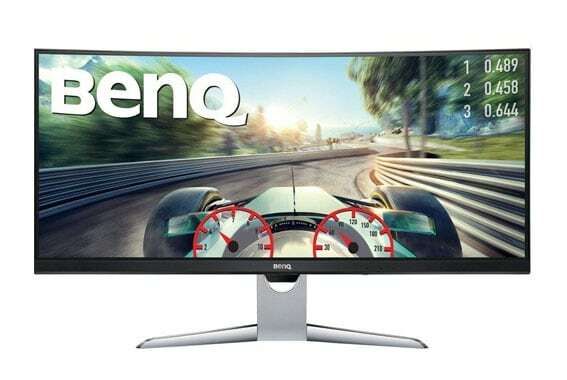 BenQ EX3501R Review 2019 - Why This Gaming Monitor ROCKS! 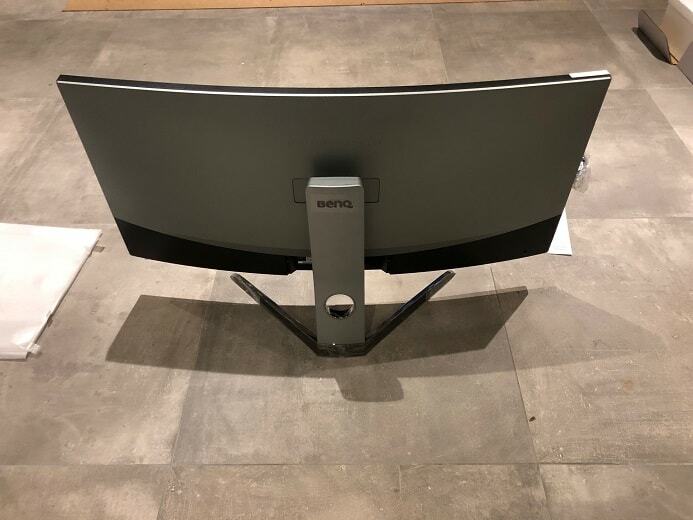 BenQ brings us a bit closer to the dream of stepping right into our favorite games with their immersive ultrawide curved monitor – the EX3501R. This curvaceous monster is big – a massive 35 inches big. Of course, big doesn’t always mean better. 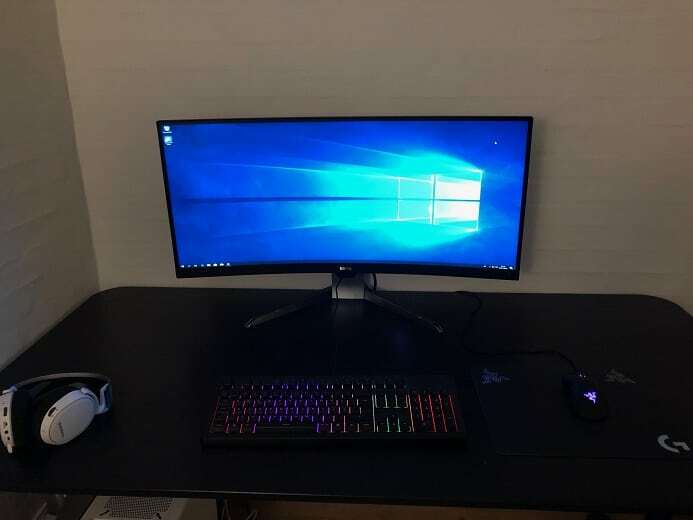 However, combine its impressive width with its deep 1800r curve and this monitor starts to look pretty attractive to those looking for a truly immersive gaming experience. It’s not all about shape and size though – the EX3501R boasts a range of features such as HDR support, EyeCare technology, and a 100Hz refresh rate. 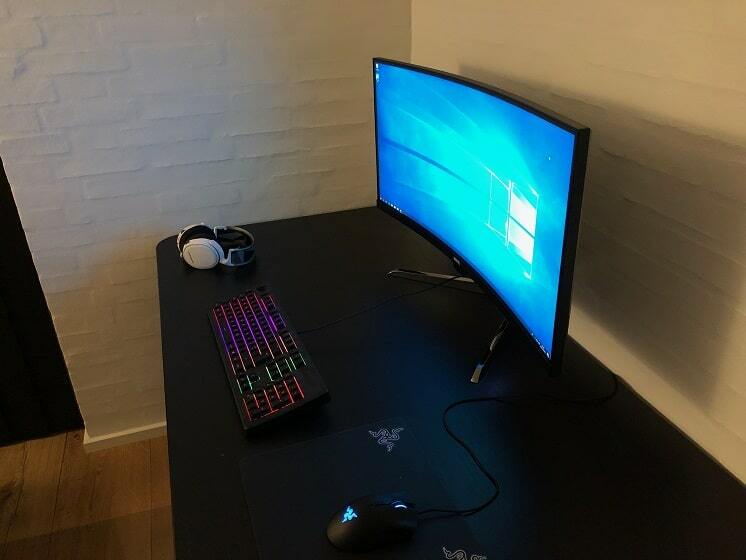 Curved screens seem to be the holy grail when it comes to not only PC gaming but also video viewing and editing as well as general PC use. But to get that curve, be ready to part with a few more precious dollars. 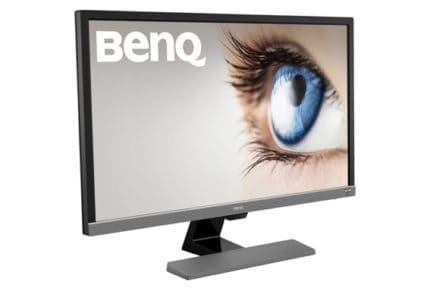 So, the question is, does BenQ’s EX3501R strike the balance between exciting features and value for money? Let’s take a look. Unboxing this monitor is pleasing to say the least. The EX3501R comes fully assembled – we’re talking pretty much plug and play. The necessary cables are included – expect an HDMI cable, display port cable and USB type C cable – along with software and a quick installation guide. This monitor makes its way from box to desk in the blink of an eye. Considering the size of the EX3501R, it leaves your desk feeling surprisingly roomy thanks to its slim, low-profile stand and sleek design. The stand is clad in an attractive chrome, while the monitor is encased in a crowd-pleasing combo of silver and black textured plastic. Another neat feature is the circular cutaway in the stand, allowing you to keep tangled cables at bay. While the EX3501R is by no means a frameless monitor, the bezels have been kept to trim 0.4” (with the exception of the lower bezel which measures a slightly wider 1”). This thicker lower bezel is home to a range of buttons to control the on-screen display. While the buttons are well-hidden, they are a little hard to navigate which can be frustrating until you get used to their positions. BenQ has also covered all bases when it comes to ports. You will find 2x HDMI 2.0 ports, a display port 1.4, 2x USB type A and 1x USB type C port, the lattermost being particularly useful for hooking up a laptop. All this plus a handy backplate to cover up the ports at the back mean that if you’re looking for a clean, clipped look, this monitor is for you. One thing that lets this sleek beast down somewhat though is the power brick – rather than incorporating the power supply inside the monitor itself, the EX3501R comes with a rather bulky external power brick. 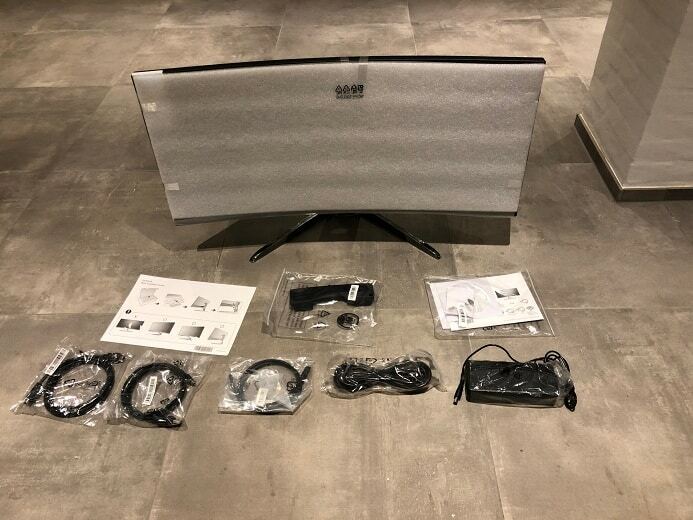 The screen is adjustable and can be tilted up and down, and the height adjusted. One downside here, however, is that the height adjustment is limited and only goes so high, so some users should expect to adjust their chair in order to comfortably align screen and eyeline. Vesa wall mounting is supported though, which could be a way to get around the limited height adjustment. One of the main selling points of the EX3501R is its HDR capability, allowing you to watch HDR movies and play HDR games. Unlike other monitors (here’s lookin’ at you, Samsung 32CHG70), The EX3501R doesn’t use quantum dot technology for brightness. This monitor therefore achieves a decent but by no means exceptional luminance level of 300 nits. This along with the 8-bit color depth means the EX3501R is not really bright enough to offer a full HDR experience. So, the HDR feature is nice to have, and is noticeable on this monitor, but those looking for the absolute ultimate HDR gaming experience may want to look elsewhere. The EX3501R offers a pretty deep 1800r curve which provides an immersive, wrap-around experience, and uses a VA panel rather than IPS, allowing for a high contrast ratio of 2500:1. But what does that get you? Essentially, with this monitor,r you get deeper blacks and better contrast between colors than many of its peers. Now, of course a VA panel does have its downsides – namely less accurate colors, ghosting and higher response times. But the EX3501R actually holds up well in these areas, with a respectable 4ms gray-to-gray response time, and decent color accuracy; covering 100% of the sRGB and 83% of the AdobeRGB color gamut. Why does this matter? Essentially all of this means this monitor is not only great for gaming, but also for watching movies as well as video editing. Beware though – when watching movies or videos that are not 21×9, you will experience pillar boxing on either side of the picture. The EX3501R improves on BenQ’s previous release, the XR3501, by dropping the refresh rate from 140Hz to 100hz, as well as featuring AMD Freesync. You will also see an improved resolution, with the EX3501R coming in at an impressive 3440×1440. What does this mean? Essentially, this improved resolution is ideal for the size of the monitor, providing improved pixel density and more all-round heightened gaming experience. All these improvements, however, come at a price – Literally. 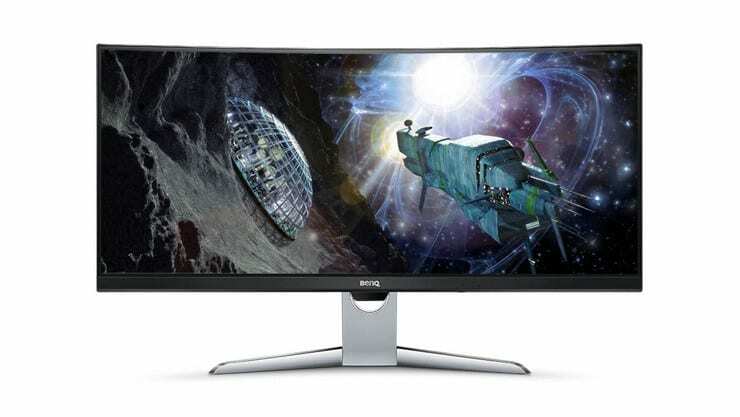 Expect to part with around $750 (or around £650) to get your hands on this monitor. 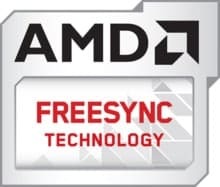 As previously mentioned, the EX3501R supports AMD Freesync. This neat feature prevents tearing and stuttering on screen, which is great. However, this is only really useful if you have an AMD graphics card. 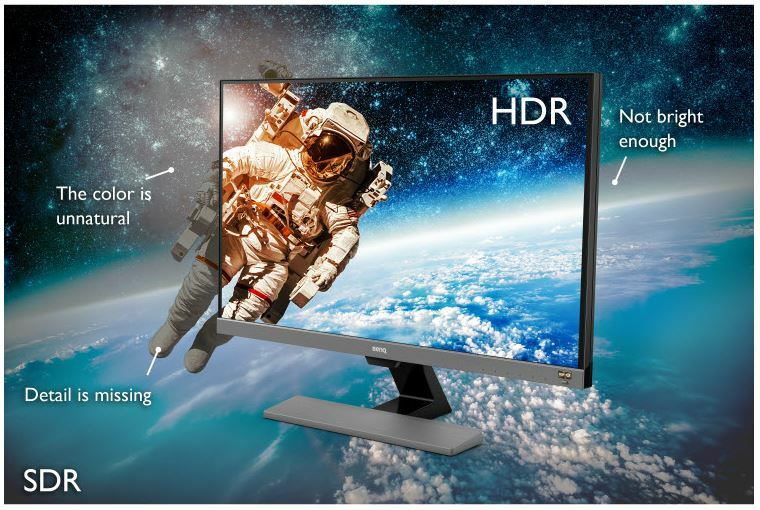 Look close enough at this monitor’s lower bezel and you’ll notice a small sensor. This is a light sensor with Eye-Care™️ technology. This smart little sensor detects ambient light and adjusts the brightness of the screen accordingly, lowering blue light and reducing eye strain. This technology is similar to the iPhone’s Night Shift function and is a nice touch in a PC monitor. The feature can be turned off though, if preferred. 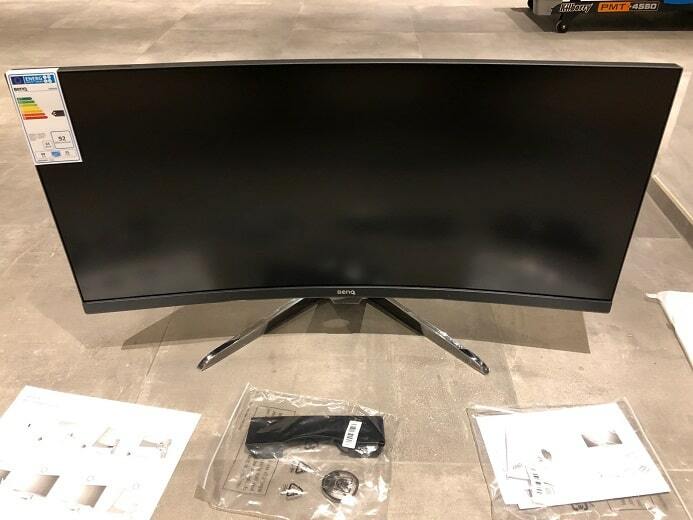 Overall, the BenQ EX3501R really does measure up and stand its ground among the ultrawide curved monitor market. It balances sleek design with functionality, with a high-spec panel to add meat to the bone. While its design could be improved when it comes to height adjustment and accessibility of the screen display adjustment buttons, these are minor drawbacks when weighing up the many positives that this monitor has going for it. The impressive curve provides that sought-after immersive feel but does mean this monitor doesn’t come cheap. It is, however, worth the investment when you take into consideration all the features it brings to the table. The BenQ EX3501R offers smooth graphics, a perfect marriage between screen size and resolution, and of course the all-important HDR – albeit not the best level of HDR on the market, but still impressive. 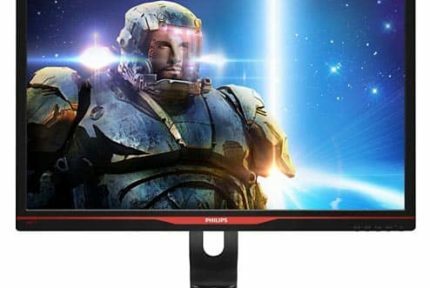 This is a monitor that is not only great for gaming but also for everyday use, meaning you get a lot of bang for your buck. 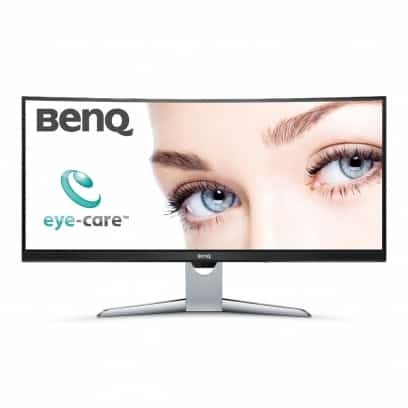 The BenQ EX3501R is not the cheapest monitor out there, but for the price you do get a high spec and a nice set of features including a decent curve and impressive width. The monitor looks great while not being too flashy, so will have great longevity design-wise. Overall, a good choice that comes recommended!